Jim Witt invites you to a cruise aboard the Pride of the Hudson to raise funds for the H.O.P.E. For Youth Foundation. Boarding passes: $75 for adults; $35 for children under 12. Cruise departs promptly at 5:00 p.m. Reply by Sept. 8th with the form. Capacity is limited to 120 passengers. You can purchase tickets or donate to the event by printing out and completing the flyer and sending in a check or online with a credit card by filling out the TicketSpice form. For more information contact Jim at 845-265-2010 or email witt@bestweb.net. The H.O.P.E. 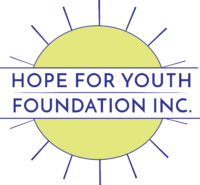 For Youth Foundation, Inc. is a 501(c)(3) tax-exempt organization.